Boeing has donated the third 787 Dreamliner ever built to the Museum of Flight in Seattle, Washington. 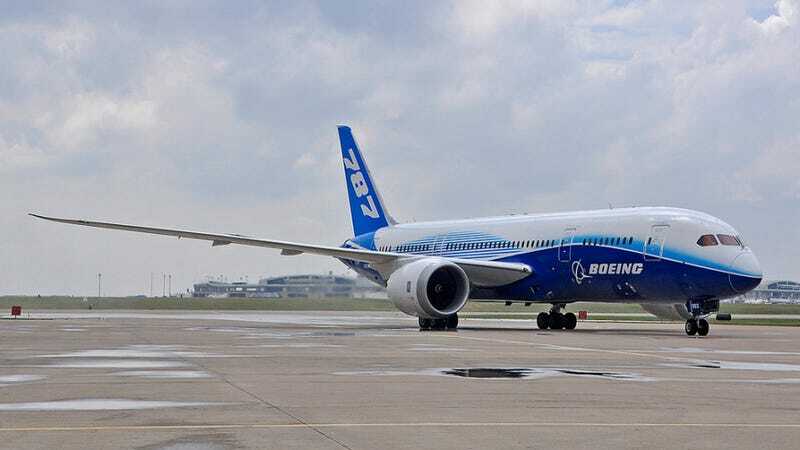 The plane known as ZA003 will be the only 787 at a museum in the world. It is painted in Boeing's Dreamliner house livery, and museum visitors will get to see the plane, inside and out. The official handover of ZA003 will take place Saturday morning, and go on permanent display on November 22nd. I got to tour ZA003 at American Airlines' maintenance base at DFW Airport in 2012, as Boeing flew the plane around the world on its "Dream Tour." On display, the plane will be partially configured as an airline and test aircraft, while some space will also exhibit how the plane was developed and built. I got a ton of photos from my tour, so let's check her out. ZA003's Rolls-Royce Trent 1000 engines have a fan diameter of 112 inches. One engine weighs 12,710 pounds, and they produce up to 75,000 pounds of thrust each. In an electric braking system, electronic control units and electrical wiring replace hydraulic lines and equipment, and electromechanical actuators replace hydraulic pistons. When the pilot steps on the brake pedal, a computer sends information to a control box, which converts these electrical signals into an electromechanical command: the actuators on the brake ring, replacing the hydraulic pistons, press the carbon disks against each other as in a conventional hydraulic system. The cabin windows on a 787 are 19 inches tall — 65 percent larger than most airliner windows. On the inside, they feature dimming shades that lighten and darken at the press of a button. This is also an industry first. The PSU, or Passenger Service Unit over the economy class seats. Of the left and right, we see the LED lighting system, which can be changed to hundreds of color variations. Airlines use different lighting motifs during different stages of the flight, such as boarding, cruising, meal times, and sleeping. Here's an example of some business class seats an airline might choose to install. We also have another look at those big, sweet windows from the inside. This is the rarely seen crew rest area. This one is at the back of the plane, accessed through a hidden doorway and up a few stairs. Most long-haul widebody planes like the 787 have some sort of crew rest. The 787 also has another crew rest for pilots, up front behind the flight deck. If you're ever up in Seattle, and you love aviation, the Museum of Flight is a must-see. Its outdoor airpark also features a British Airways Concorde, a 707 formerly flown as "Air Force One," an early 727 and 737, and a Lockheed Super Constellation. The museum's crown jewel is the original Queen of the Skies — the very first Boeing 747, "City of Everett." She just underwent a complete exterior restoration, and now looks exactly as she did when she made her public debut in 1969.